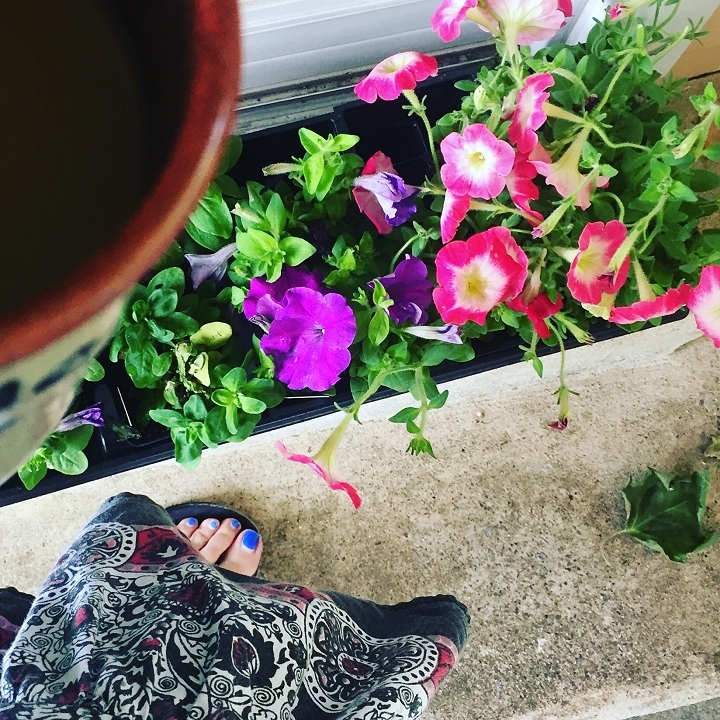 Early this morning I had my coffee outside with the songbirds. 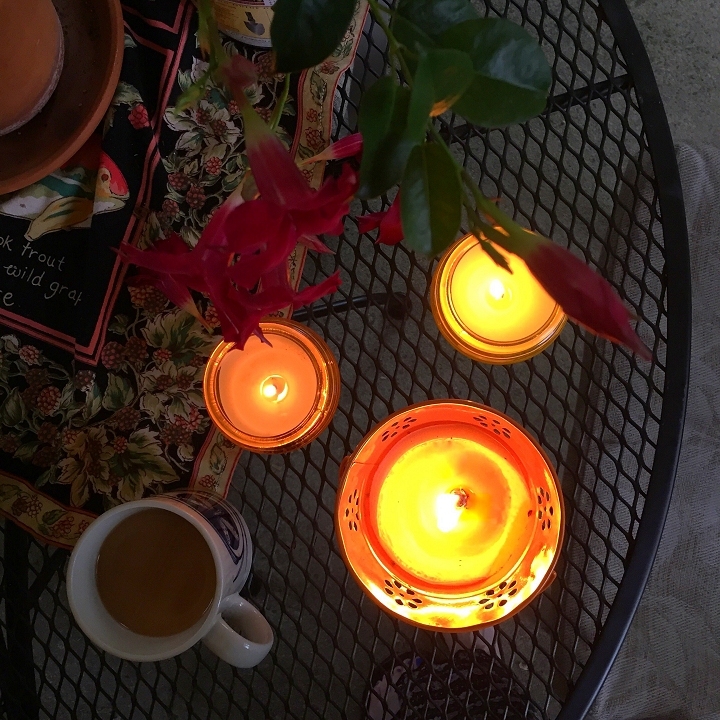 It seemed that the mosquitoes finally decided to make an appearance so I lit my candles to keep them away. It seems that this year I have the most amazing birds in my trees - I've had tons of woodpeckers every day, and just yesterday had a hummingbird fly within inches from my face while I sat outside, writing at my laptop. It's the most amazing feeling when that happens! For the past few days I've been listening to the funniest bird who sat in a tree in my backyard and said "Gary!" all day. I'm serious. It's been hysterically funny. It would call "Gary!" and then say "AHHH!" and sound like a nagging old woman. This went on for two days straight. Then I heard it again, but it started to alternate from "Gary!" to "Eric!" and I was just fascinated. After that it would sing a massive string of chirps and shrills and was the most unusual thing I had ever heard. So of course I googled it! It turned out I had been listening to a Gray Catbird. I found a few videos on YouTube of the exact bird call, and found that many other people were hearing the same unusual, funny calls. The Gray Catbird happens to be a mimic, like a mockingbird, who mimics the calls of other birds - so the long string of songs he sings after his funny name outbursts are mimics of the songs of other birds. He really is beautiful to listen to. I hope he stays for the summer. I planted these last week. They are so pretty! 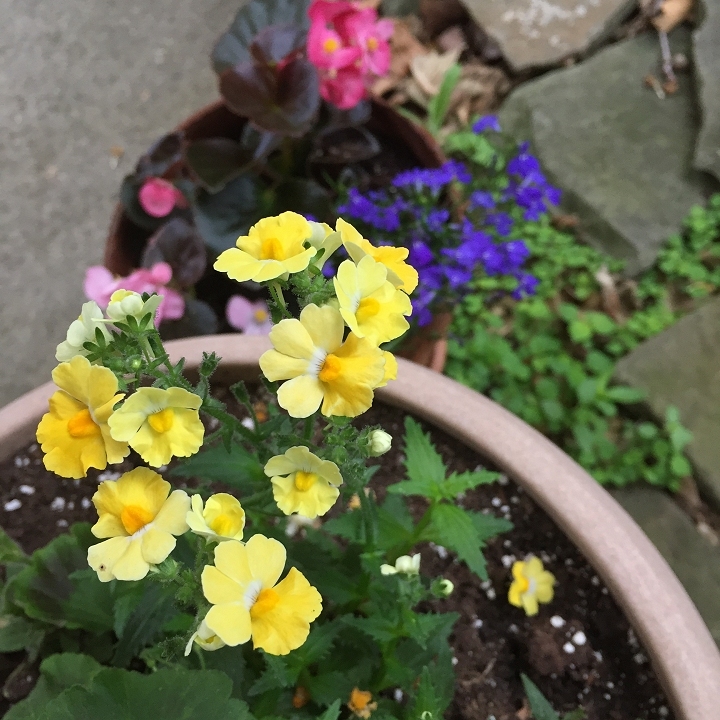 Bright lemon yellow Nemesia, a real find. They really set off my darker purple blooms. I still have lots to plant, even after filling about 6 flowerpots...these are still waiting. But I haven't done any direct planting in the ground yet. That will be this week. One of my favorite things to do when I visit my parents is sit on their deck and watch the hummingbirds! They have like 10 at a time feeding on 2 different feeders. Your flowers are beautiful!